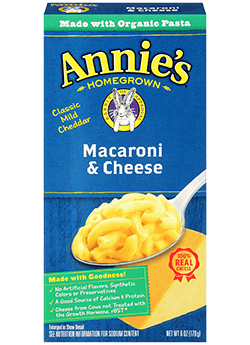 Sign up for a coupon for a free box of Annie’s Cheddar Macaroni & Cheese! The coupon will be mailed within 4 weeks. Hurry – quantities are limited and these will go fast! !